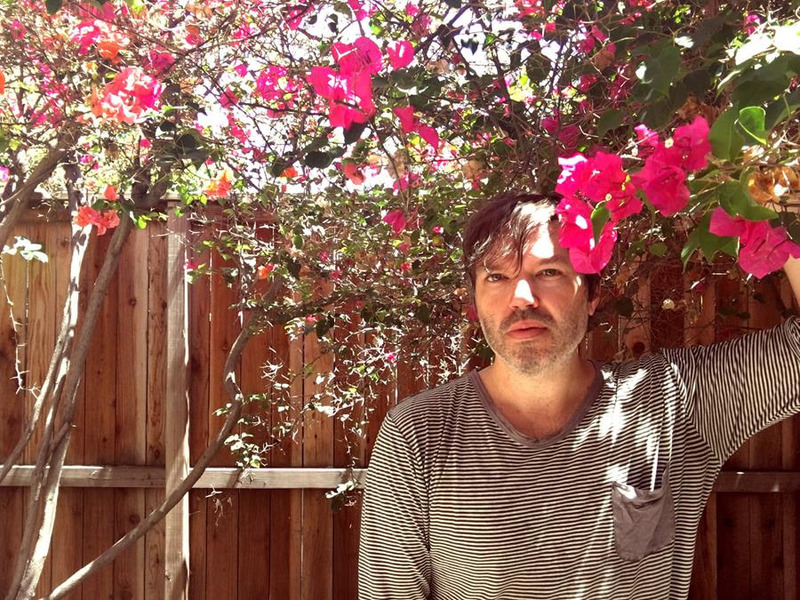 Since emerging in San Francisco’s fertile early-00s indie/folk scene, Papercuts’ Jason Quever has released 5 stellar albums that have become touchstones of quality modern pop. Equally at home with lush, baroque textures and more stripped-down arrangements, Quever’s song-writing is always top notch, the production tailored to the songs with great sensitivity. His skill in the studio has helped him build-up an enviable resumé recording, producing and playing with artists including Luna, Beach House, Cass McCombs, Dean Wareham/Dean & Britta and Slumberland’s own The Mantles. His sonic influence is clearly in evidence on those recordings, but it’s on the Papercuts albums that we hear Quever up close and his most personal. 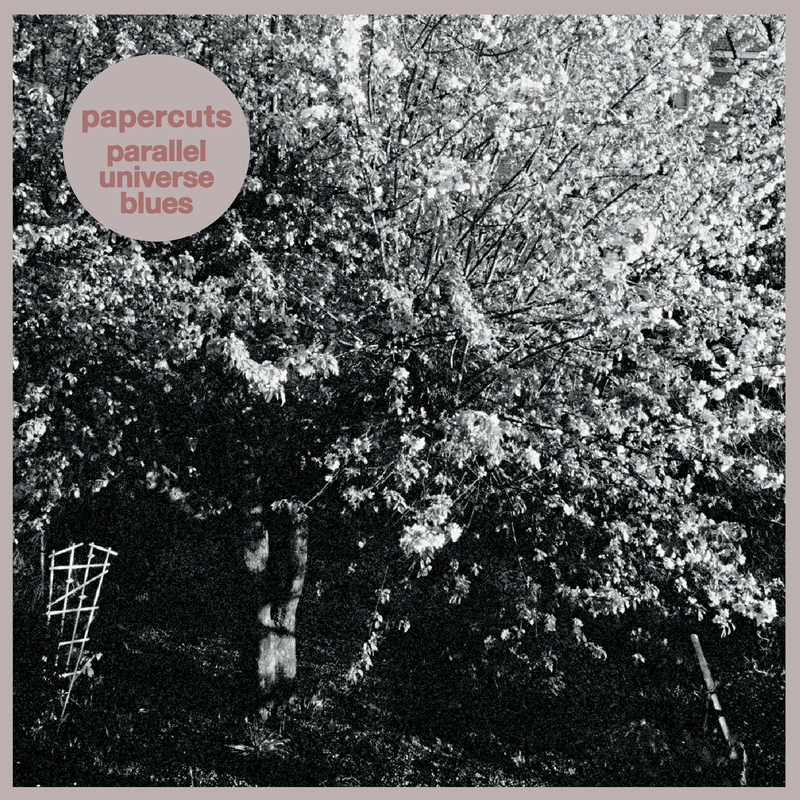 Papercuts’ sixth album Parallel Universe Blues reflects Quever’s recent move from long-time musical home San Francisco to Los Angeles and all of the searching and self-exploration that accompanies leaving your home, your friends and your scene. The sound of the album is intimate and close, nicely balancing the sonic concerns of the last few Papercuts records. Album opener “Mattress On The Floor” is an Eno-tinged amuse bouche, droning and a bit mysterious. Next song and first single “Laughing Man” is a lovely slice of classic pop — widescreen but not at all melodramatic, an impressionistic “love song, but maybe more about fragmented memory and fleeting attachments.” Taken together, that opening pair sets the table for the rest of the album: perfect Spectorian pop songs echoed down through Lou Adler, Harry Nilsson, The Velvet Underground, LA’s Paisley Underground, Spiritualized and The Jesus and Mary Chain. “How To Quit Smoking” is a wry bit of self-examination, fueled by some gorgeous guitar melodies and a terrific chorus. “Sing To Me Candy” amps up the fuzz – distant peels of feedback blending into tape loops to create a Opal-esque atmosphere. “Clean Living” is another “jab at self improvement and who it’s really for” that could fit right on on Nico’s “Chelsea Girl.” Mesmerizing and beautiful. The second half of the album is just as strong, with the updated girl group shuffle of “Kathleen Says” and the uptempo jammer “Walk Backwards.” “All Along St Mary’s” is an epic breakup song that would be right at home on The Jesus And Mary Chain’s Darklands – ideal late night/rainy day vibes. “Waking Up” and “Looking Through Heather” wrap the album up with two distinct takes on dream pop.